Former Gor Mahia midfield ace, Ali Abondo is still not certain of his future but has indicated that a return to Gor Mahia is a possibility. It is also apparent that Ajax Cape Town have not communicated directly to Abondo regarding his status but have only communicated via the media. “We are still discussing things with my employers and my agent will let me know soon what my next move will be. I like this club (Ajax), but my stay here wasn’t exactly what I had hoped for and if they are saying those things (in the media) then there is a possibility that I may leave before my contract is up. If that happens, I would not mind coming back to Gor Mahia. That has been my club for a long time and it won’t be the first time I am will be returning.” said Abondo to the KPL website. 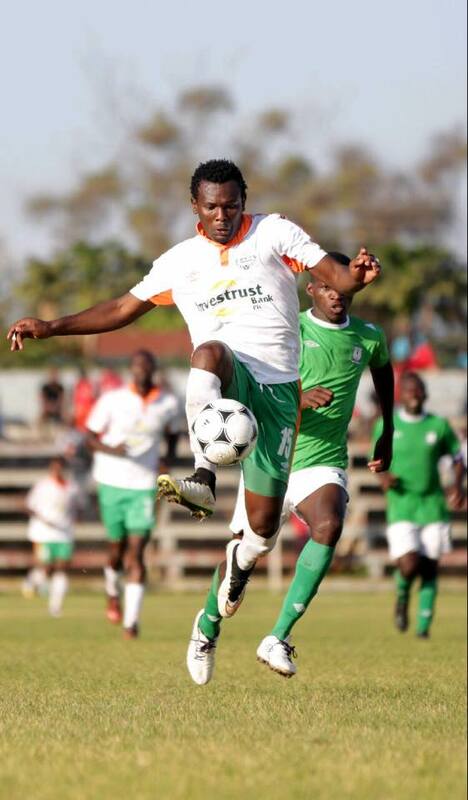 Abondo left Kogalo for trials in South Africa in January of 2016 after having had a stellar season in 2015. Meanwhile Baron Oketch Jobita is leaving Gor Mahia to join Ulinzi on a one year loan deal. “We have completed everything on both sides and we are glad that Oketch will be joining us. We needed someone to complement Makwatta (John) in striking and Baron fits what we were looking for. He is a very good player and he will play a big role for us in 2017 especially in continental football,” Ulinzi Stars chair Lt. Col. Erick Oloo said to the Ulinzi FC website. The speedy Jobita whose father Laban Jobita played for Gor Mahia in the 1990s joined Gor Mahia from Western Stima in 2016. But he has not fit into coach Ze Maria’s plans. He thrives on using his speed down the flanks which does not suit Ze Maria’s style. As a result, he hardly played. FKF are under pressure from league sponsors sportpesa and have been forced into taking decisive action to curtail hooliganism. Gor Mahia and AFC Leopards have been summoned to appear before the Independent Disciplinary and Appeals Committee (IDAC) over hooliganism. At the same time, Football Kenya Federation (FKF) will today set out far reaching measures it believes will tackle the vice. The federation suggested during their executive meeting on Monday that clubs whose fans cause abandonment of matches be docked points. The Sportpesa Kenyan Premier League (KPL) announced that both Gor Mahia and AFC Leopards have been invited to answer to several charges following fan trouble in their matches. While at the disciplinary committee, Gor Mahia will answer to charges of fans throwing stones, bottles and other objects at assistant referee George Mwangi who awarded Tusker a penalty during the match. Gor Mahia goalkeeper Boniface Oluoch will also be required to answer to charges of confronting Mwangi after he pushed the assistant referee twice while protesting the awarded penalty. Another charge that has been levelled against the club is failure to control their fans who entered the field of play and assaulted the assistant referee while their stewards watched. AFC Leopards on the other hand will answer to charges of their fans causing the abandonment of their KPL match against Ulinzi Stars last Saturday in Mumias. The fans also attacked match officials, stealing from them and harming them in the process. The match between Leopards and Ulinzi was abandoned while the scores were tied 1-1 and the soldiers had been awarded a penalty. According to KPL rules, Ulinzi Stars will be awarded the match. SPORTPESA CONCERNED The league’s title sponsors, Sportpesa, added their voice to the matter by accusing KPL of not doing enough to end the vice. 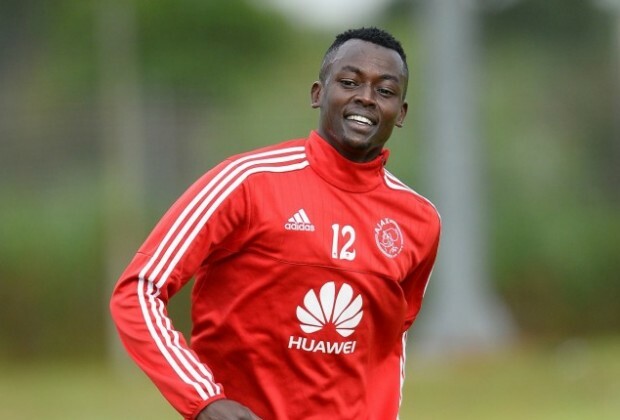 Ajax Cape Town have confirmed the signing of Kenyan midfielder Victor Ali Abondo from Gor Mahia. The 26-year-old has penned a two-year deal at Ikamva following a successful trial earlier in the year. Abondo becomes the fifth addition to Ajax’s squad for the new Absa Premiership season, after Erick Chipeta put pen to paper a fortnight ago, while the club has also promoted three teenagers Masilake Phohlongo, Darren Johnson and Sirgio Kammies from their academy. “It’s a good feeling to finally sign for Ajax Cape Town. This is what I’ve always dreamt of,” Abondo said. “I consider Ajax as one of the best clubs in the PSL. Even in Kenya, people know Ajax Cape Town and rate the club highly. Facing a tall order in Madagascar, Gor Mahia will need to play the match of their lives to overcome two away goals and a 1-2 deficit. Experienced Central defender Musa Mohamed understands the task ahead. We must put up a great fight and secure ourselves passage to the next round. We have been here before against this same team (CNaPS) and we have the believe that we can do it again,” he said to the club site. Musa was in Madagascar last year and should not be overawed by the raucous crowd in Mahajanga. Working in Gor Mahia’s favour is that this time the crowd will be much smaller. The main stadium in Antananarivo which hosted the match last year is not available. As such the match will be played in Mahajanga whose stadium is a 10,000 seater. Still Musa understands the depth of the task ahead. Gor Mahia will need to conert the chances that come their way while maintaining defensive discipline. “The situation is however different this time. They have the advantage over us unlike last year and we must be clinical to make our chances count. We have had a good preparation for this match and the team morale is high. We have been in that stadium and we know what the atmosphere there will be and just like last season we can score goals there.” he continued. Indeed defensive discipline is important: Madagascan sides have proven over and over that they can use their speed to capitalize on defensive lapses as BTM did in 1988 when Jean Claude Rabeamanana capitalized on a loose back pass to score. Luckily Gor Mahia were still able to win 3-1 on aggregate. “We are going there with one mission, to win big and hopefully make it to the next round,” he said. “The first leg was a disaster for us, but at least we have a goal. We know it is not going to be easy but we will give it our best shot. We have not lost hope yet,” he told the Nation. One player who could help resolve Gor Mahia’s goal-scoring woes in Ali Abondo who recently returned from trials in South Africa. Abondo scored in Madagascar last year. However by Thursday evening, it was not even clear if Abondo would travel. It would be advisable for coach Nuttall to bring Abondo and assess his ability to fit with the rest of the team on Friday. His fitness is not in question since he has been training in South Africa for four weeks. Ali Abondo has been the subject of some criticism due to what was considered a below par display against Ethiopia in the CHAN qualifiers. Abondo missed a penalty but also missed a gilt edged chance. It was disappointing day for fans who were hoping that Abondo who has scored more goals in all competitions than anyone else this year would transfer his club form to the national team where it was badly needed to overcome a 2-0 deficit. Abondo has blamed two issues: day-long fasting in adherence to his Islam faith and sheer bad luck. “I don’t know what happened. Nobody takes a spot kick expecting to miss and I am yet to recover because it was a huge disappointment for me. “I think it was just bad luck but also, fasting is no joke. I lacked power especially towards the end of the game and I think that is the reason I failed to score,” he said to the KPL website. However Abondo is not completely down on himself and believes he will bounce back. “Disappointment occurs sometimes in a game of football. People miss penalties all the time and so this is not entirely new to me. The only thing I can do now is to work hard, remain focused and pray to God that He helps me record better performances in future,” he said. Abondo is right not to be disappointed. Firstly the penalty was well taken. Though it lacked power, it had the goalkeeper well beaten but unfortunately hit the upright. His inability to score can be attributed to the fact that he was playing in the national team for the first time and with team-mates with whom he is unfamiliar. Not anyone shines on their debut. Abondo is certainly not to blame for the Ethiopia debacle. The coach shoulders some blame and truth be told, Ethiopia was the better side on the day. Even their clubs do better than Kenyan clubs at continental level. As recently as 2010, AFC Leopards lost 0-3 to Banks of Ethiopia and were thus eliminated. Abondo will resume club duties on Wednesday assuming he has enough energy after his fasting. Given his comfort levels with his club team-mates, he will likely continue to do well at club level. There have been numerous players who missed crucial penalties but went on to do well. Earlier this season, Michael Olunga and Timothy Otieno missed penalties against Power Dynamos but Olunga went on to score twice as Kogalo beat Mathare 4-2 in the next game. Back in the early 1990s, debutant Dan Ogada missed a crucial penalty against Atletico Aviacao of Angola. But he went on to become Gor Mahia’s best player of the 1990s. In 1983, debutant Hezborn Omollo missed a penalty against AFC Leopards on Madaraka day but ended up being the club’s greatest league scorer ever. Abondo too will bounce back and shine at both club and national team level. Gor Mahia’s midfielder Ali Abondo, who is having a sensational season has apparently attracted attention from some Zambian sides. According to supersport, two Zambian clubs have been closely following the player with an aim to bring him on board later this year as they have been impressed by his impact, resilience, tenacity and knack for scoring important goals. “Victor Ali Abondo has shown tremendous talent and has been a key figure at Gor Mahia working hard game after game and scoring very crucial and important goals,” one Zambian football official, who sought anonymity for fear of jeopardizing a possible deal, told supersport.com. For Ali Abondo, the interest in him has come as a surprise and it makes him smile considering that other clubs outside the country have noticed his progress. “I do what i was employed to do at Gor Mahia. God has been good as I have not encountered any injury problems and to hear that some clubs outside Kenya have shown interest is a good fortune for any player as we all seek avenues to grow in the game,” he said. It is however interesting that Zambian sides would be interested in a player before he even got called to the national team and before anyone has seen whether he can maintain his current form for an entire season. Midfielder Ali Abondo has been named KPL player of the month. This is a new award created by the Sports Journalists Association of Kenya (SJAK), to motivate players. In the process, Abondo bagged Ksh 50,000 and a 42 inch television as prizes. He beat AFC Leopards’ Jacob Keli and Tusker’s Jesse Were to the award. The humble Abondo was not sure if he deserved the prize. “Am happy to win the first award; I had the feeling but I was not 100% sure because there are many more good players who deserve. I thank God for the award and I thank the organizers too for coming up with the initiative. It is a noble idea to motivate players and in the bigger picture, the team benefits as well.” he said according to supersport. He expressed gratitude to his team-mates for enabling him to bag the award. “My aim for the season is to help Gor Mahia to stay on top to the end of the season and I understand it is not just about me but my team mates as well. I thank them all and the coach too for the support,” he said. 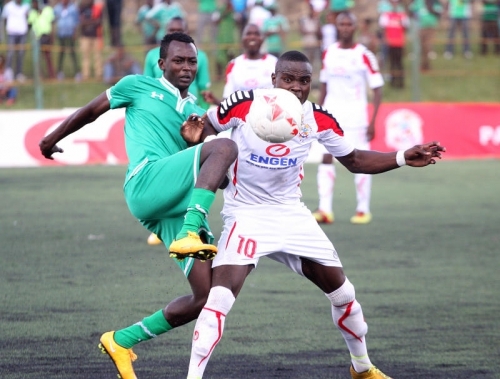 Gor Mahia edged a SoNy Sugar side that was determined to make amends for their 1-5 loss to AFC Leopards. 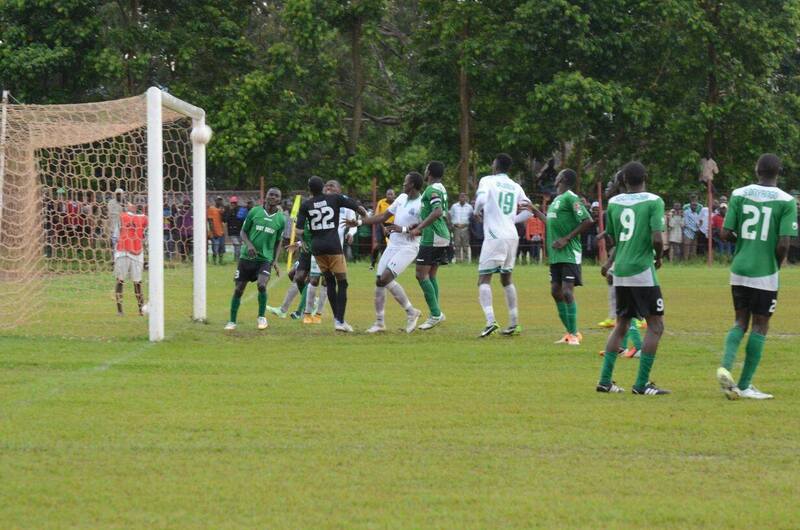 The final score was 1-0 in favour of Kogalo. The all important goal came from a direct free kick by Ali Abondo. 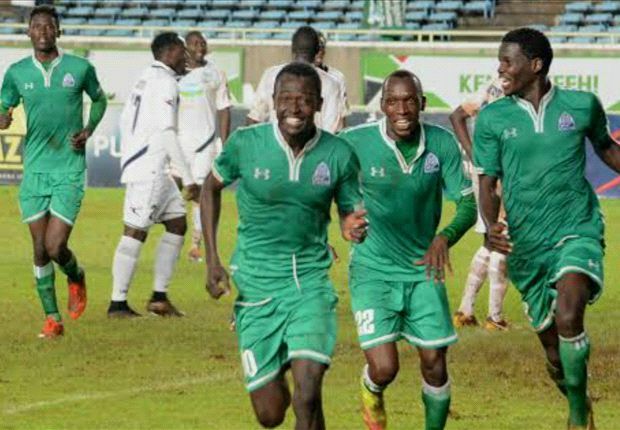 Despite arriving in Awendo eleven hours to kick-off, Gor Mahia maintained their unbeaten start to the season after seeing off Sony Sugar 1-0 in a league match played at a waterlogged Stadium on Wednesday. 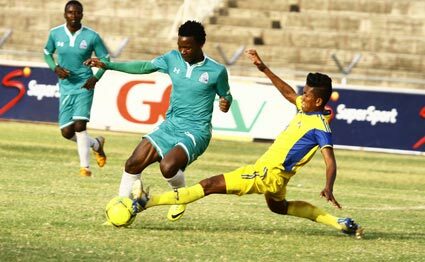 Ali ‘Teargas’ Abondo thundered home the all important from a well curved free-kick in 57th minute to stretch K’Ogalo’s lead at the top of the 16-team table to seven points. Gor Mahia now have 26 points while second placed Thika United have collected seventeen. The defending champions settled as early as the second minute with in-form Michael Olunga hitting a fierce shot which went agonizingly wide but acted as a reminder for ‘Zico’s men, who suffered a humiliating 5-1 defeat in the hands of AFC Leopards during previous fixture. Despite trying hard to get the composure, the home side could not match the visitors’ tempo in first quarter of the game and the former brewer went close again in 13th minute but failed to connect a fine pass. Sony slowly came back into the game and resorted to ball possession in a game which was dictated by heavy down pour that rendered the pitch unplayable. The hosts would have gone ahead in the 24th minute when Vincent Ouma hit the outside of the goal post with Boniface Oluoch well beaten. Both teams struggled to control the ball effectively in a pitch which was flooded and resorted to long balls which were not effective as defenders sort to clearance on the first touch. At the break, it was even with fans looking disappointed by lack of goals, while the hosts felt lucky for not conceding in the first half. After the break, the fourteen times premier league champions looked optimistic and they were more comfortable with neat passes at the center of the pack which clearly showed they did not miss services of their hard tackling midfielder Collins ‘Gattuso’ Okoth, who sat out due to a bout of malaria. The Green Army got their breakthrough in 57th minute when Ali Abondo curled home a free-kick past desperate Jairus Adira to give the visitors a lead, after a foul just outside the 18-yard box. It was a goal they needed to gain their confidence and Olunga could have doubled the advantage but his shot hit the post in the 70th minute. ‘Zico’s men looked lost in the final minutes as K’ogalo launched attack after attack orchestrated by Khalid Aucho but they could not penetrate the former’s defense, who decided to pack the bus and avoid conceding more goals. It is the eighth win for Gor Mahia as they extend their lead on top of the table to 26 points while Sony suffered their second defeat in a row to remain eighth with fourteen points. 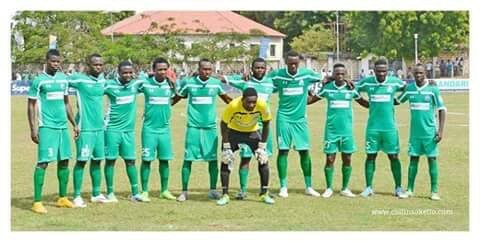 Gor Mahia lost 2-3 to CNaPS of Madagascar but proceeded to the next round thanks to away goal rules. Substitute George Blackberry Odhiambo netted a 90th minute goal to ensure that Gor Mahia are through to the first round of the 2015 CAF Champions League courtesy of a 3-3 aggregate scoreline against their Sunday 1 March hosts CNaPS at the Municipal Stadium of Toamasina. This is despite the Kenya’s representatives going down by a narrow 2-3 margin in the thrilling preliminary match. The two away goals and their home win in the first round however helped them book their place in the next round. CNaPS started on a high and should have taken the lead in the second minute through a penalty but they missed but they remained the better side for the better part of the first half. The hosts were the first to score through a deflected shot that beat Bonface Oluoch at the near post but Gor Mahia equalized moments later through Ali Abondo. CNaPS however restored the lead in the 38th minute after a series of counter attacks before stretching it further at the stroke of halftime through yet another affront on the Gor Mahia defence. The second half was however an end to end encounter with CNaPS fighting even harder to cement their lead in the match as Gor Mahia gave an equally brilliant output. Olunga’s shot on target was cleared off the goalmouth in the 75th minute. Gor Mahia dominated the final 15 minutes of the match but goals were hard to come by a midst a capacity stadium and an away environment. George Blackberry was introduced in the 76th minute for Ronald Omino who started in the match and immediately created a fresh spark in the Gor Mahia attacking.